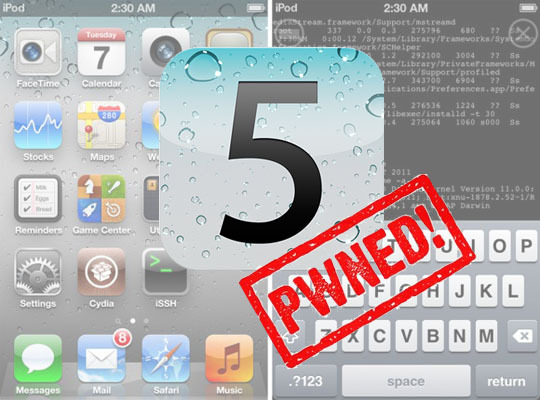 So what’s next in the iOS 5 jailbreak field, the latest iOS 5 untethered jailbreak? The iOS 5 Untethered jailbreak still needs a lot of work before the actual release. In the mean time we had a tethered boot iOS 5 jailbreak but most of the users does not like it, due to its limitation users have to connect their device with computer on every boot. But now it appears that someone is just come up with an iOS 5 Semi Tethered Jailbreak. What is This Semi Tethered Jailbreak? Semi Tethered Jailbreak is not any new tool or update to any of the Jailbreaking tool. It is a Tweak released under Bigboss repo, Cydia, which simply allows you to make an Untethered Boot when you turn off your iPhone,iPod, or iPad. This is not an Untethered Jailbreak. How this Semi Tethered Jailbreak Works? Semi Tethered Jailbreak works in a simple way. All you have to do is follow the steps mentioned below to install the Tweak on your iDevice and you are good to go. Make sure you are on iOS 5 and Jailbroken in order to perform these steps. You can Jailbreak using redsn0w or Sn0wbreeze. Guides are present here. If you have newly Jailbroken on iOS 5, so first do a Tethered Boot in order to run Cydia. Once Cydia is up and running, now go to Manage> Sources and add the following source. Once the source is added, you will see a Tweak with the name of Semi Tethered Boot in the source. **Remember, this will install Mobile Substrate with it which is broken on iOS 5, So some of the tweaks might not work properly and you might have to uninstall some of the Tweaks in order to make it work properly. Once the Tweak is finished installing, now you it will ask for a reboot. Now press reboot and the device will reboot. Now make sure that you are near your PC/MAC and got the Jailbreaking tool, Redsn0w or Sn0wbreeze’s iBooty in order to boot tethered for the first time. This Semi Tethered Jailbreak helps you to boot Tethered without connecting to PC/MAC. You can easily boot in Tethered Jailbreak, even you ran out of Battery and are away from your PC/MAC or at some place where you don’t have access to the tools to boot your Phone Tethered in order to use it. This Tweak simply allows you to by pass the Tethered Boot Loop which is removed after you boot tethered. What are The Limitations Of This Semi Tethered Boot? If you got any other Tweaks or any other widgets which are conflicting with this Tweak, so fell free to post it below. How Long Do we Have To Bear The Limitations Of This Semi Tethered Boot? Not long, but 2-3 days. The only wait is for Saurik, to update the Mobile Substrate and after that the Tweak will work fine. Are ThereAny Other Side Affects Of This Semi Tethered Boot? Yes there are few side affects which you might face after the installation, as noted by the Author at Bigboss. And remember that this is just the Beta testing of this Tweak and the Author has only tested on his iPhone 4 GSM. So either wait for the update or install the tweak and make your life easier.